Member leader Nikki Linnerman knows that when it comes to winning a great contract and making a difference for working families, Politics Matter. Linnerman, who works for the EDD in Stockton, has been active in both Local 1000 and electoral politics. 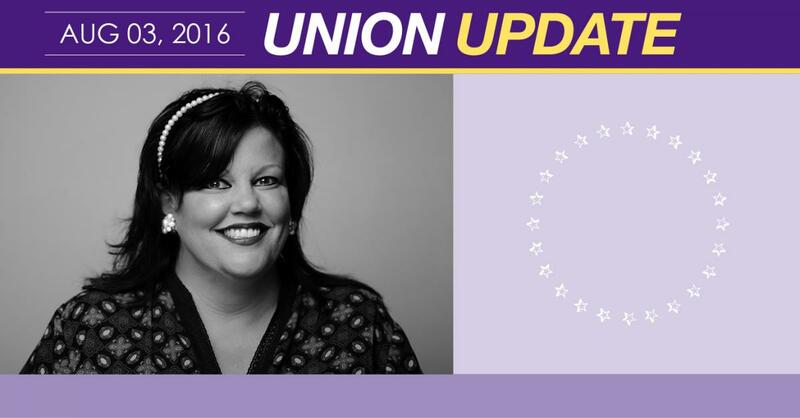 And this month her activities hit high gear: She attended the Democratic National Convention in Philadelphia as an elected delegate and also began a legislative fellowship at Local 1000. Linnerman serves as chair of Local 1000’s COPE (Committee on Political Education), so she knows how we use our political power to improve the lives of our members and all Californians. Now, with her legislative fellowship, Linnerman is seeing firsthand how we hold our elected leaders accountable to working families. Linnerman said her political work began 10 years ago when she asked herself: “What can I do outside our union that will make an impact and a difference?” She chose the Democratic Party because she believes they better represent working family values, but Linnerman encourages Republican members to become involved in local party politics so Local 1000 members have a seat at the table at both parties and can explain why labor supports certain issues. This will be Linnerman’s second DNC; she went in 2012 as an at-large presidential delegate. Two other Local 1000 member leaders, Unit 15 Bargaining Chair Maria Patterson and DLC 723 President Steve Alari, also attended the DNC last week and joined Linnerman in bringing the Local 1000 spirit national.